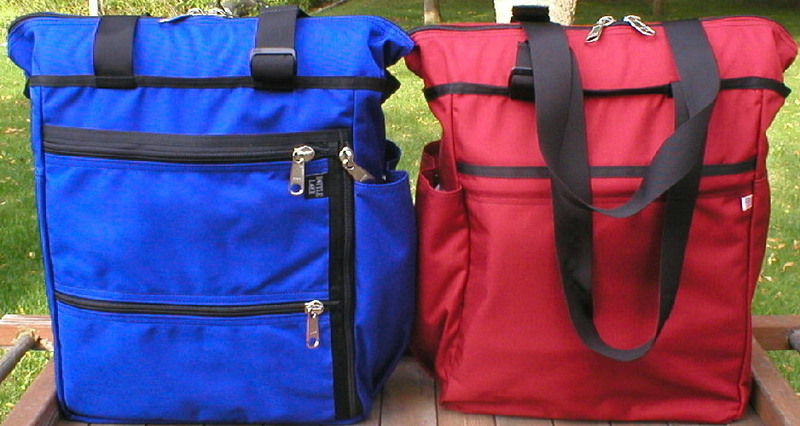 For all of you who never seem to have enough bags or pockets on your bags, this may be your dream come true. 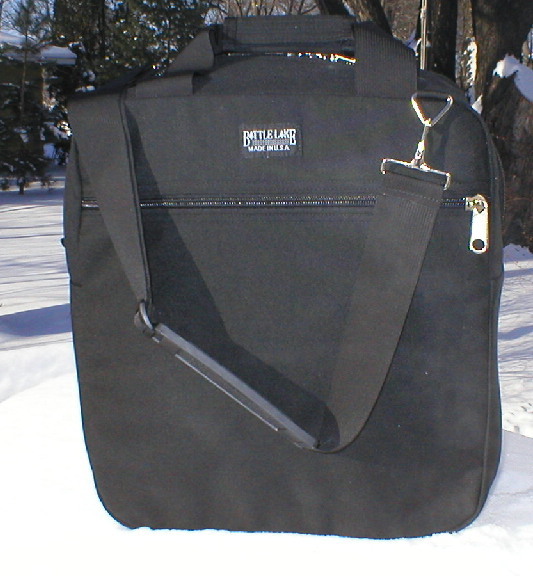 You will find plenty of pockets, room and adjustable handles/shoulder straps named after the river valley in which we craft all of our bags. We think that after you try out our Eagle Valley Tote you will be telling all of your friends about it. The only downside to this bag might be that you forget in which pocket put something. 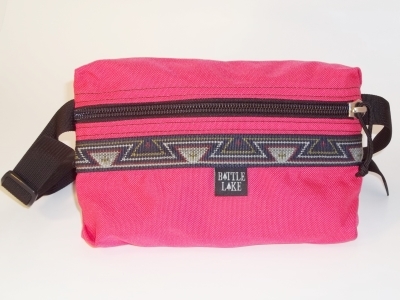 The main compartment uses a zipper closure or it may be left open and used as an open tote bag would. The top closure also extends the capacity. 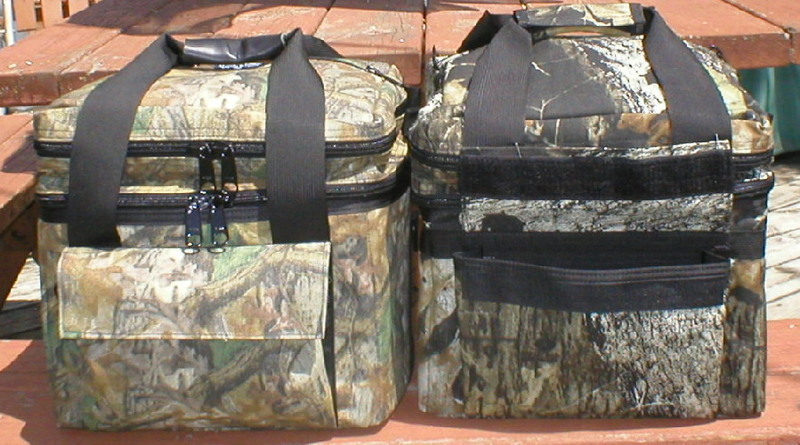 1-1/2” wide handles that double as should straps if you like to carry it that way. Removable bottom stiffener. Zippered pockets: one flat back pocket with a flap to protect your cloth from abrasion, two flat horizontally oriented front pockets, one vertically oriented front pocket. Open pockets: one front pocket behind the three zippered pockets, one side pleated end pocket with a snap closure, one side flat pocket, two inside pleated pockets for shoes, etc.. An organizer pocket on the bottom of the front zippered pocket with three pencil slots and a fourth half-width pocket. Made in the USA of American materials. 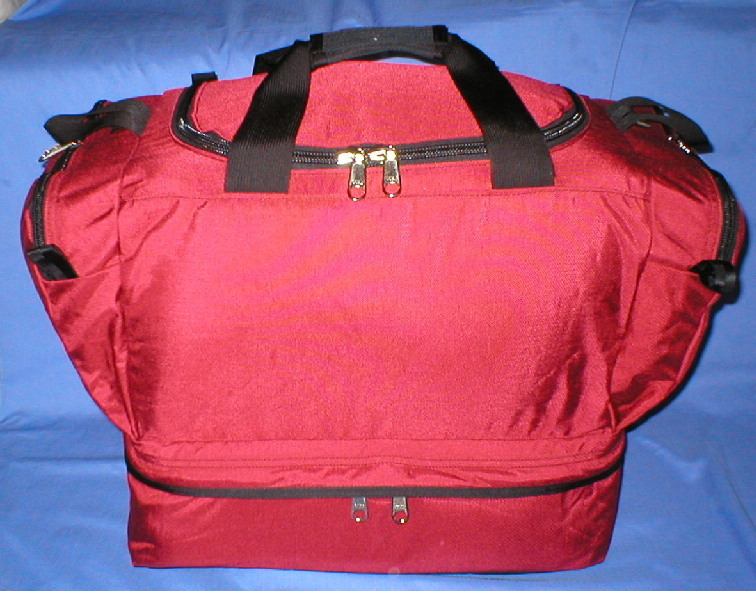 1000 Denier Cordura outer. 420 Denier Nylon Packcloth lining. #9 heavy duty YKK Zippers. High-strength Duraflex hardware. .090 Foam-X stiffener. Taped and double stitched seams. Reinforced stress points. Nylon webbing. 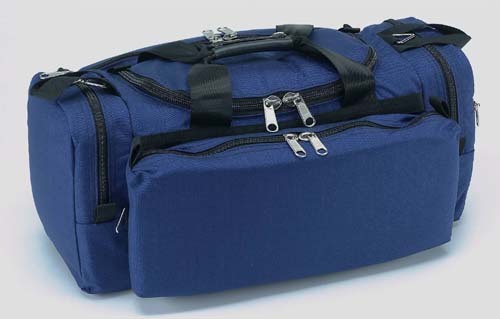 Height - 15"; Width - 13"; Depth – 6-1/2"
LOVE LOVE LOVE this bag! I have it in celery! All the pocket ..